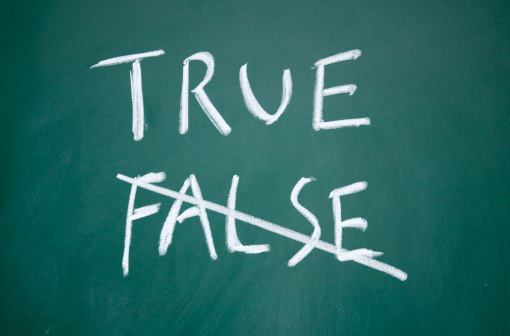 Detroit Baptist Theological Seminary » Can Christianity Be Good If It’s Not True? In 1768 the French Enlightenment philosopher Voltaire wrote: “If God did not exist, it would be necessary to invent him.” Voltaire was not trying to denigrate Christianity. Rather, he was arguing for the social benefit of belief in God. He thought that belief in God helped provide incentive to people to live morally and helped establish social order and justice. Thus, if God did not exist, it would be better for society to convince people that God did exist. There are a growing number of atheists in our day who are clamoring for the abolishment of religion. The late Christopher Hitchens was a leading voice in this movement, and he did not hide his contempt for Voltaire’s sentiment. “Though I dislike to differ with such a great man, Voltaire was simply ludicrous when he said that if god did not exist it would be necessary to invent him. The human invention of god is the problem to begin with” (God is Not Great, 96). In response to these calls for the abolishment of religion, some are continuing to argue that religion, though perhaps (likely?) false, is still good. 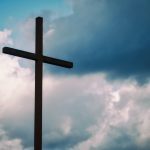 Thus, much of the discussion has moved past the question of whether or not Christianity is true to whether or not Christianity (and religion more broadly) is beneficial. Where should Christians side in this debate? Should we tout the idea that religion has tangible benefits even if it is false? One of the central tenets of the Christian faith is that Jesus is alive today—He rose from the dead. This historical event has been both questioned and affirmed for centuries. A couple of years ago, we held a lecture for our campus ministry at Wayne State University on whether or not Jesus rose from the dead. During the Q&A session afterward, a young lady—after stating that she was a Christian—asked whether or not it really mattered. 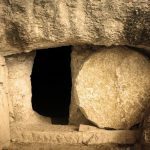 Is anything changed if Jesus did not rise from the dead? Even if Jesus didn’t rise from the dead, isn’t Christianity still good? In Paul’s first letter to the Corinthians, he addresses an issue related to that question. Some in Corinth were denying the Apostolic teaching of the resurrection of the dead. In confronting this error, Paul considers the consequences if Jesus did not rise from the dead. The first consequence Paul mentions is that the preaching of the gospel would be empty. If Paul were to talk with the preachers in churches all over America who do not believe Jesus rose from the dead but still “preach” each Sunday, he would tell them it would be better if they just went fishing or golfing on Sundays. There is no truth to the message being preached if Jesus did not rise. Some in our day might respond that the objective reality of Jesus’ resurrection is insignificant. What really matters is that we believe he is alive in our hearts! But Paul next states that our faith is empty if Jesus did not rise. The Christian faith is not about wishful thinking. It’s not hoping something is true in spite of the fact that it probably isn’t. It’s about trust in a person and what that person did. If that person did not do what he claimed, then the faith is empty. Many today would point to the value of moral instruction that religion provides. But Paul next states that he and the other apostles are liars if Jesus did not rise from the dead. He and the other apostles have been preaching that God raised Christ from the dead, and if He did not then they have been lying about God. They have been testifying falsely against him. If they’ve been lying about God, why would we trust them on what they have to say about moral issues? (Or why would we trust Jesus on moral issues when He said He would rise from the dead?) Here’s some valuable advice you may want to tuck away: you don’t want to get your ethical instruction from someone who has been lying about the central part of their message! But isn’t there still a personal, psychological benefit from believing in Christianity even if it is not true? Paul points out that our faith is of no value if Jesus is still dead. Whereas before Paul says our faith is empty, here he says it is futile or worthless. It’s incapable of accomplishing anything for us. The reason our faith is futile is because it is not intended to provide a psychological benefit but to deal with our problem of sin. Jesus, as a sinless person, died to pay the penalty for our sins. The resurrection is God’s public display of approval of Christ’s payment for sin. But without the resurrection the payment was not accepted. If Jesus did not rise from the dead then his death was simply for his own sin—just like everyone else who has ever died. If our sin has not been dealt with, then there is no hope of escaping death. If we are still in our sins, death is not simply falling asleep in Christ but is really the end—eternal separation from God. Paul concludes by declaring that, if Christ is not raised, Christians are the most to be pitied. He is not simply saying that Christians are to be pitied because they expected heaven but didn’t get it. Christ’s resurrection has bearing on our current lives. It frees us to willingly sacrifice for the sake of God and others (cf. 1 Cor 15:30-32). But if Christ is not alive, there is no point in living a sacrificial life for others. We might as well simply live for ourselves. Paul does not believe that the Christian life has meaning in itself if Christ is not risen. Christians are a bunch of fools if Christ has not risen! But as Paul points out in the next verse: “But in fact Christ has been raised from the dead” (1 Cor 15:20). Christianity is worthless if it is not true. But Christianity is true, and the truth of Christianity is infinitely good. Dr. McCune, in the second volume of his systematic theology, states: “The resurrection of Jesus Christ from the dead is the most colossal single demonstration of the power of God of all time. In the Old Testament God held up the Exodus from Egypt and its attending miracles as the greatest exhibition of His power toward the nation of Israel….it is the resurrection of Christ that is the apostle’s [Paul] paradigm as the highest demonstration of God’s infinite power” (p. 225). Christianity would indeed be more than worthless without this great truth. Excellent post.